This quaint county in Northeastern Pennsylvania is dedicated to creating memorable sports events for planners, athletes and spectators. Mohegan Sun Arena is one of the spacious options for sporting events in Luzerne County. Coaches and planners can agree that organizing the details of an out-of-town sports event is never an easy task. Luzerne County makes this process easier with its world-class facilities and professional assistance provided throughout the planning process. Whether finding that ideal venue to fit all your team’s needs, providing marketing and PR support or securing volunteers, Luzerne County aims to guide planners in achieving that unforgettable sports event. With a convenient location right off of Highway Interstate I-81 and the Pennsylvania Turnpike, Mohegan Sun Arena is a 10,000-seat multi-purpose venue that is consistently ranked amongst the top venues in the world according to Billboard Magazine. Previously home to NCAA Division 1 and professional basketball tournaments and games, the arena also has 30,000 available square feet of indoor meeting space and over 245,000 square feet of outdoor meeting space. Further amenities at the arena include on-site parking, restrooms, locker rooms and numerous food and beverage concessions. Serving as the official practice facility for the Wilkes-Barre Scranton Penguins and the Wilkes-Barre Junior Pens, Toyota SportsPlex is Luzerne County’s go-to complex for winter sports. 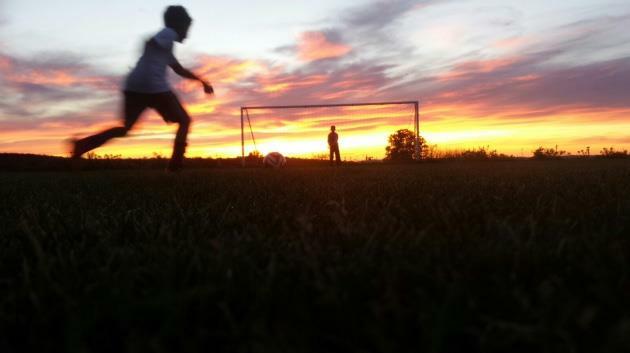 The facility offers programming for adult and youth teams of all ages and skill levels. 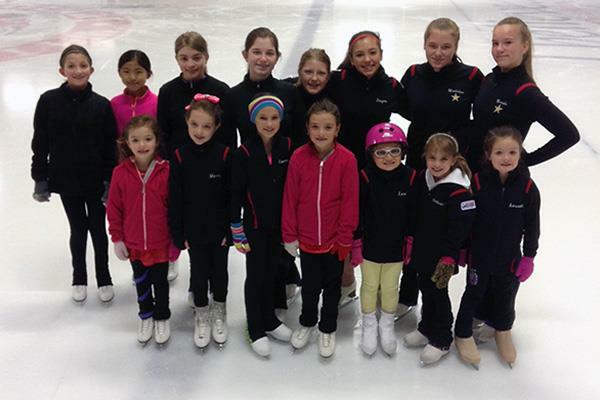 The figure skating program features coaches who were all once competitive skaters, and the facility’s camps and clinics offer instruction from current and former professional players. With on-site parking and affordable rental prices, the complex also hosts public skating on the weekends, a great activity for family members and spectators to partake in while athletes are in practice or training. Drifton Softball Complex in Freeland is a one-stop shop for all things baseball and softball. Located off of Highway Interstate I-81, Drifton offers elite baseball and softball training, lessons, cage rentals and more. Consisting of four lighted outdoor fields, the facility has a capacity of 1,000 seats. The complex has previously hosted several local, regional and state tournaments. Amenities include an on-site restaurant, bar and parking. Dedicated to contributing to the positive physical, mental and social development of youth players through constructive suggestion, encouragement and praise, Back Mountain Soccer Complex in Dallas features six U-6-8 fields and three full-size fields with spectator seating and on-site parking. The facility strives to maintain a safe space for players and their families with qualified coaches and trainers who are chosen based upon their ability, initiative and general interest in motivating players to excel. Deemed one of the finest outdoor sporting facilities in northeastern Pennsylvania, Luzerne County Sports Complex in Mountain Top is a youth activity center holding some of the area’s most prestigious tournaments, leagues, clinics, camps and other outdoor sporting events. This 30-acre facility is idyllically located along the banks of the Susquehanna River, adjacent to several hiking and biking trails overlooking the river. The complex’s softball and soccer fields can be rented by the day, week, month or season. With two golf courses and various baseball, softball, soccer and tennis fields available for rent, City of Wilkes-Barre Recreation Complex features Hollenback Golf Course, a 102-acre course with a clubhouse, shelter, storage areas, picnic areas and a playground. Wilkes-Barre Municipal Golf Course features a pro shop, practice facilities and an on-site bar and restaurant. Sports field rentals are available at the low cost of $100 per field, per day. The complex has on-site regular and handicapped parking. Wilkes University’s current athletic fields comprise nine facilities for its 23 varsity teams. A hub for world-class sports events, the university features Schmidt Stadium, Ralston Athletic Complex, Marts Center and McHale Athletic Center, a newly renovated state-of-the-art facility with three basketball courts that can also be used for volleyball and tennis, a two-lane track, climbing wall, locker rooms and an athletic training room. Amenities at Ralston Athletic Complex include two sets of bullpens, an outdoor batting cage, dugouts and a press box. With a humid continental climate that sees four distinct seasons throughout the year, Luzerne County is fit to host all sporting events, whether indoors or outdoors. Previously held events in Luzerne County include the Pennsylvania Junior Golf Tour, the Pennsylvania Women’s Bowling Tournament, the Keystone Games Wrestling Tournament and the Whitewater Cup Soccer Tournament. A region large enough to offer world-class sports facilities yet small enough to dodge the hassle of big-city inconveniences such as traffic and steep prices, Luzerne County has everything your team needs for its next game, tournament, meet or competition. Providing over 3,000 lodging options, several tantalizing American, ethnic and seafood restaurants, local farmers’ markets, antique shops, family-friendly activities and endless outdoor adventures, Luzerne County truly is the total package for sports planners searching for that supreme event destination. Montage Mountain Waterpark and Ski Resort in Scranton provides top-notch skiing in the winter and water-filled fun in the summer, with a wave pool, lazy river and countless exhilarating slides. For athletes and families visiting Luzerne County during chillier winter months, a day spent at Skyzone Trampoline Park in Pittston invites sports teams to bounce around in a huge pool of foam squares in the Foam Zone, or soar through the air for a pickup game of basketball in the SkySlam area. Known as the nation’s largest free-admission amusement park, Knoebels Amusement Park in Elysburg provides endless hours of classic rollercoasters, swimming, camping, kid-friendly rides and golfing. The Lands at Hillside Farms in Shavertown is a historic, nonprofit educational dairy farm with opportunities to learn about science, agriculture, ecology, history, nutrition and land conservation. For exhilarating outdoor adventures, head to Susquehanna Kayak and Canoe Rentals in Falls or Whitewater Challengers Rafting Outfitter in Weatherly for day-long or overnight camping trips in some of Pennsylvania’s most scenic rivers and waterways. Luzerne County has so many awesome facilities and we are proud to bring back to the area the Keystone State Games and the Senior Games for 2018/2019. Just about any sport has a venue and the people at Visit Luzerne County make planning an event or tournament simply easy with coordination of hotels, venues and sponsorships. I have been involved with PA JR. Wrestelers since 1972 and must say that the people of Wilkes-Barre were some of the friendliest that I have ever come across. The workers were courteous and very helpful. The facilities were totally awesome. The SHOW you put on really put PJW’s in the forefront of wrestling. By Air: Spanning the border between Luzerne County and Lackawanna County, Wilkes-Barre/Scranton International Airport (AVP) is the fifth largest airport in Pennsylvania, the primary airport of Northeast Pennsylvania and the best way to reach Luzerne County by air. The airport’s main airlines include American Eagle, Delta Airlines and Southwest Airlines, with domestic destinations including Philadelphia, Chicago, Detroit, Orlando and Atlanta. By Car: Luzerne County is located at a crossroads in Northeast Pennsylvania, with Interstate Highways I-80, I-84, I-380 and I-476 being the main ways to reach the area by car if coming from any Western, Southern or Midwest states. If coming from the east, take I-95 to I-84.